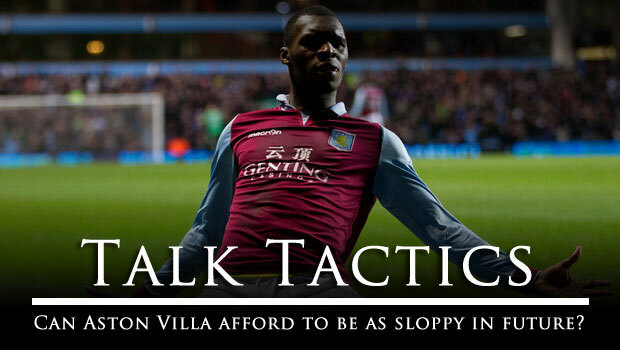 Talk Tactics – Can Aston Villa Afford To Be As Sloppy In Future? AVFC | Aston Villa Life - An Aston Villa Blog and Mobile Site for iOS and Android > Aston Villa Blog > Columns > Talk Tactics > Talk Tactics – Can Aston Villa Afford To Be As Sloppy In Future? Against Reading, Aston Villa were… poor. Not only were they poor, but their attacks were somewhat predictable, repeatedly involving lumping balls forwards on to the head or chest of striker Christian Benteke. Villa did, of course, win the match and that is, in a sense, all that matters. However, this was, in part, down to just how woeful the opposition were. I’ve heard from some fans that their belief is that Villa made Reading look woeful but this is simply not the case, as much as people may want to believe it. Of course I was glad for the win, but we mustn’t get carried away or consider that kind of performance one we wish to see every week. In the eventuality that a team makes another team look awful, the statistics will generally put a massive gulf in key figures such as pass completion or tackles made illustrating the created gulf between the two teams. 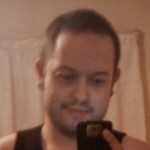 Let’s start with passing. If you can’t pass properly, how will you score? If we look at the pass completion rates for Villa, they were at a fairly average 75%. Top teams, or teams who are putting on a great performance have pass completion rates of over 90%. An average quality team pass completion rate would be anywhere between 70 to 80%. Anything between 80% and 90% could be considered good. Reading, by comparison, managed just 66% pass completion. Whilst Villa were 9% ahead of the opposition when it came to passing, neither team was passing in a particularly effective manner. In fact, anyone who went to the game and says anything besides that both teams’ passing was average at best needs a free eye test. I recommend the ones at Tesco. Moving from passes to other key statistics, neither team completed crosses effectively. Villa attempted 29 completing 11 (37.9% completion), whilst Reading attempted 25 completing just 7 (28% completion). Again, these statistics show that the game was scrappy, and unlikely to have been a high scoring affair when viewed in the context of other key performance indicators As we all know, we won by a solitary goal. Villa, perhaps surprisingly, attempted only 56 long passes, completing 29 of them. Proportionately this indicates a better relative number of short passes vs long passes, though over a third of passes were either backwards or square, illustrating a regularly non-penetrating game barring long balls. Don’t get me wrong, passes can’t all go forward if a team wants to retain possession, but there needs to be more to moving forward than punts upfield. Now whilst the statistics do indicate that the game was a poor one, there is a common knowledge that beating teams when playing poorly is a sign of a good team. To Villa’s credit, their persistence was rewarded, though only really after Stephen Ireland had taken to the pitch, acting as the link up player between Villa’s back and front. We all know there are far more statistics involved in a game than just passes and crosses, and I’ll get into them now. In the defensive statistics, Villa attempted 22 tackles completing 15 giving a 68.2% completion rate. Reading attempted 10 completing 3 giving an easy-to-work-out 30% completion rate. In other defensive areas, neither team were particularly effective at clearances (normal or headed) or aerial duels. The ball was high a lot of the time, accounting for the total of 98 aerial duels for the ball (and 70 attempted headed clearances) but completion rates were poor further illustrating a distinctly average-at-best performance. The worst passers of the ball were Brad Guzan, Enda Stevens, Andreas Weimann, Marc Albrighton, and Christian Benteke, all five of which had sub-70% completion rates, though Guzan’s was mostly due to his long punt balls up the pitch that did not reach Benteke – Guzan’s completion rate was a woeful 44%. However, Albrighton’s was even worse at 38%, whereas the other three mentioned were in the 60-70% range. Conversely, the best passers of the ball for Villa were Gabriel Agbonlahor and Ashley Westwood, both of whom had 85% or more completion statistics – Brett Holman was marginally behind with 84% completion. It is difficult to say whether Villa were lucky, were playing a poor team, or were doing the best that the youngest every Premier League back four could have hoped for, but the fact remains that we won the game – after games where the football was good but with no end result, I’ll take three points. However, the team must do better against Queens Park Rangers and Stoke City if they are to continue to win points – another performance at the level of the Reading game will not go unpunished. Villa must play better and more effectively at Loftus Road at the weekend or the result may well be different, and the club from B6 will be desperate to put some more distance between them and QPR. We will find out soon enough what team will emerge this weekend. This entry was published on November 29, 2012 / Matt Turvey. Posted in Aston Villa Blog, Columns, Talk Tactics, Turvey's Thoughts and tagged "Christian Benteke", stephen ireland, talk tactics. Bookmark the permalink. Aston Villa beat Reading in a scrappy 1-0 win. Did they deserve it? Matt Turvey takes apart the tactics. Following the Reading win, it's time for Villa to head to Loftus Road and face Harry Redknapp's Queen's Park Rangers.